HAMILTON, ON – Fall means back to school, and also a return to fall programming at CityKidz in Hamilton. Hamilton Port Authority (HPA) is pleased to announce a $5000 donation to CityKidz in support of their transportation program, providing one full season of transportation to all youth in their CityYouth program. Transportation is one of the most critical components of CityYouth, a program for youth aged 12-15 that helps them develop their leadership skills and experience the many rewards of volunteering. 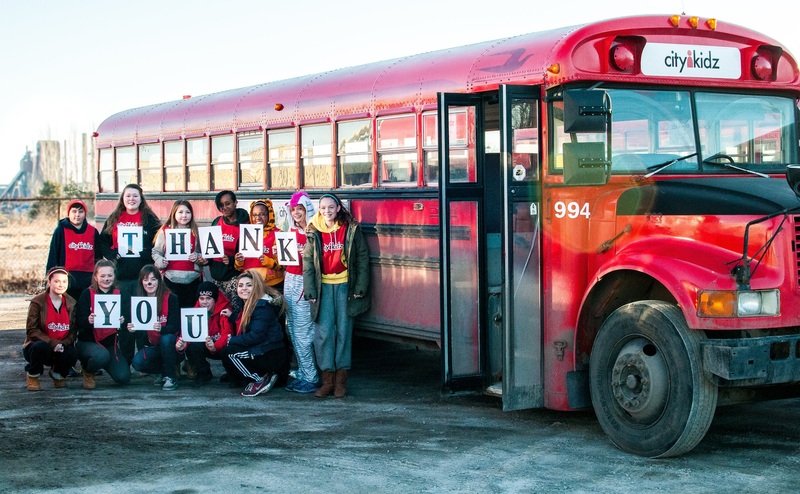 CityKidz provides ‘Big Red Buses’ that transport youth door-to-door, to and from each session. In addition to providing access, the buses also provide security, ensuring youth get to and from their programs safely. HPA is a long-time supporter of CityKidz, providing a rent-subsidized location on Port property for its offices, children’s programing space and Christmas toy warehouse. In 2013, HPA also made a three-year, $60,000 investment in CityKidz’s Youth Leadership Development program and new Youth Studio. As part of preparation for fall programs, HPA staff are volunteering today (September 6th), at CityKidz, cleaning, stocking and getting ready to welcome children back.